Besides the fact that the word “m*dget” is offensive to most people with dwarfism, we’ve serious concerns about Dwarfanators’ promotion of “m*dget tossing” (see screenshots – we can provide these to journalists). “M*dget tossing” is a grotesque and dangerous spectacle in which average height people are ‘entertained’ by a person with dwarfism being picked up and thrown. We’ve evidence of this being re-enacted in real life with catastrophic effects. In 2011 Martin Henderson was paralysed after a stranger threw him to the floor. We know of people in our community whom strangers have threatened to throw while they are going about their daily lives. We’re not alone in our concerns. In a previous statement, Little People of America said: “members of the dwarf community, who were not involved in dwarf tossing, were put at risk because of the message of objectification sent by dwarf tossing. Members of the dwarfism community reported being fearful while alone in public due to the new risk of being picked up or threatened to be used as a piece of equipment”. An academic study with people with dwarfism showed 12% had experienced violence .The same study showed nearly 80% had experienced verbal abuse, nearly two thirds often felt unsafe while out and about, nearly a third had been touched by strangers. Many of our own members and supporters are or have been subjected to violence and abuse. We believe such shows make the risk of abuse and violence towards our community more – not less – likely. We also condemn Dwarfanators’ instruction that people can call us “m*dgets” – a word which has strong historical associations with the Freak Shows of days gone by at which we would be ‘exhibited’ and ridiculed. Haven’t these wrestlers chosen to take part? Yes, but, in doing so, they have chosen to fuel a pervasive and insidious stereotype – of people with dwarfism as hyper-aggressive objects of ridicule (the Dwarfanators’ website refers to “high doses of comedy” and “comedy skits”). This stereotype then limits the ability of everyone else in the community to choose and project their own self-image and live lives they value. It only takes a few high-profile people to fuel a stereotype that affects the rest of the community. What does this say to a child with dwarfism who chooses to be, say, a mechanic, teacher, or engineer, but has to work twice as hard to be taken seriously? And just as they have chosen to take part, so we have chosen to protest. Are you against people with dwarfism wrestling? So if you don’t like these events, don’t go – why protest? Most average height people meet few, if any, people with dwarfism in real life, so representations of our community matter a great deal. The dwarfism community has been and still is subjected to stereotypes and stigma for centuries now, and these prejudices and insidious assumptions shape people’s attitudes and behaviour towards the rest of us. RGA UK has a proud history of combating these stereotypes, and we remain resolute in our belief that such events are primarily about encouraging audiences to laugh at people with dwarfism and the spectacle of violence against dwarf bodies as entertainment for average height people. 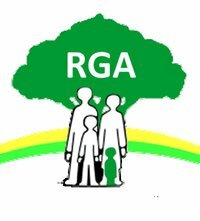 I read with interest the latest article ref the organisers wishing to sue the RGA. I would really hope that the Association’s lawyers would be able to counter this. The events are nothing but a public incitement to commit violence against members of our community, of which we have documented evidence. The few Americans who the cancellations affect must be weighed against the safety of the hundreds of members of our community in the U.K. Thank you so much for fighting against this horror show. Every step you take is a protective step for future generations and I thank you for that from the bottom of my heart. This evening while looking at an item on the Victoria Derbyshire show on dwarfism and wrestling, which interviewed a Mum with her young son Rufus and an American dwarf wrestler, I was reminded of a small man, named Dr. Warburton who used to drive down to the University of Central Lancashire from Lancaster University to run a course on the Vietnam War, which was one of our courses. I was a mature student aged 43 and am of normal height. Dr. warburton was physically restricted, but wow! What a lecturer he was. He was highly respected and liked and it was his intellect and position as an Historian and Accademic, which surmounted his physical problems. I am a 68 year old TS and know what it is like to be the button other people’s jokes and hatred as do many of my sisters, but that is another issue. I just wanted to say best wishes to all in the Restricted Growth community and to remind you that there are many people in society who support you, even if only morally. Best wishes. Fran J.